Gogo, an in-flight Wi-fi company, has become the dominant provider of connectivity in the North American skies, and now it’s looking to raise up to $100 million in an IPO. The company plans to use the money to generate working capital and address other general corporate needs. You can take a look at Gogo’s S-1 filing here. As of Sept. 30, Gogo is installed on 1,177 planes, representing 85 percent of the Internet-equipped commercial planes in North America. It has inked deals with nine of the ten North American airlines that provide connectivity to their passengers. Since launching in 2008, Gogo has enabled 15 million in-flight sessions to more than 4.4 million unique users. Through the first three quarters of this year, Gogo has generated $113.8 million in revenue, an 89 percent increase over the same period in 2010. It has also posted an operating loss of $26.5 million, down from $66.4 million from the previous year. Almost all of the planes Gogo is equipped on are on 10-year contracts, and Gogo has contracts to be installed on 525 additional aircraft. 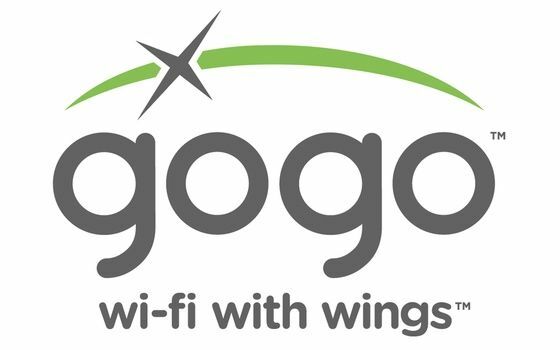 Gogo is poised to capitalize on the growth in air travel, the increasing dependence on connectivity everywhere and the growing willingness of consumers to pay for Wi-Fi access in the skies. Gogo said only 16 percent of commercial aircraft in North American and 6 percent of commercial aircraft internationally were equipped with in-flight Wi-Fi last year. And with the increasing use of Wi-Fi enabled devices like smartphones and tablets, the demand for in-flight connectivity is only growing. Looking ahead, Gogo plans to build out its footprint, offer more streaming content and e-commerce opportunities and upgrade its air-to-ground and satellite technology. And it plans to expand internationally, including through a partnership with Inmarsat’s Global Xpress satellite broadband service. Risk factors include Gogo’s reliance on good relationships with healthy airlines. Currently, Delta (s dal) represents 45 percent of revenue this year. The company also needs to make good on technology improvements to ensure it can stay ahead of demand. It’s already experiencing capacity constraints at times. Gogo did not say how many shares it plans to sell or its expected price. But it’s another sign that the IPO market, while hurting, is still moving forward thanks to Groupon (s grpn), Zynga (s znga) and others. Thanks to Gogo all that will change.